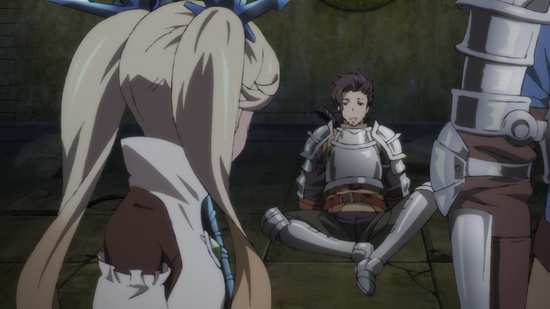 I didn’t have the best of times with Granblue Fantasy Part 1, finding it a little juvenile and derivative. There’s nothing wrong with juvenile. Sometimes younger audiences want to watch shows that us old folks just don’t understand or appreciate. But derivative is a lot harder to defend when it seems like you’re lifting elements of better shows and movies willy-nilly. If you had any hope that Part 2 might moderate this behaviour, then you might as well give up now. The first episode on this disc, episode 8 kicks off with a scene for scene remake of the opening of Raiders of the Lost Ark. 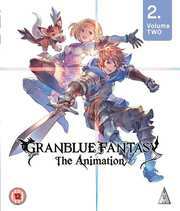 The concluding five episodes of Granblue Fantasy plus 2 OVA episodes are presented on this Blu-ray from MVM. You have the choice between PCM 2.0 Stereo English and Japanese with optional subtitles and a signs only track. 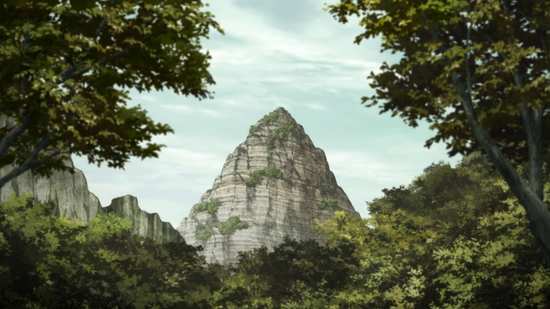 The audio is fine, with voice actors cast well for their roles (I watched the Japanese audio and gave the English dub a quick try, and both were very watchable), while the show gets a grand theatrical score that reflects the epic scope of the world, and the adventuring nature of the story. The subtitles are accurately timed, and free of typos. There are also no subtitles for the theme songs. The disc boots to an animated menu and I guess you could call the OVA episodes extra, even if they are part of the main programme listing and runtime. I gave the first part of Granblue Fantasy the benefit of the doubt. The story did nothing to inspire me, but the production values were high, and the characters were likeable. I had hoped that this concluding half of the season would take what had come before and build on it in such a way as to elicit my interest. That didn’t happen. Instead, I was presented with five episodes that were an utter chore to work through, episodes that more often than not managed to lull me to sleep. The video game inspired quest structure to the narrative continues, with the crew of the Grandcypher airship making it to the island of Auguste in this collection, where they meet the final members of the opening credits and inevitable recruits to their crew, the one-eyed warrior type Eugen, and the mysterious femme fatale type Rosetta. This island has a problem with its local Primal Beast Leviathan being driven insane by the pollution that the Erste Empire has been dumping into the local waters. 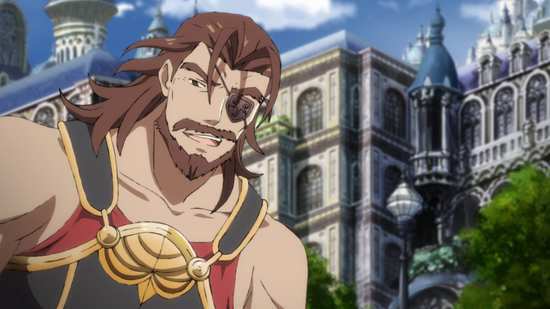 Inevitably the series villain Pommern shows up with a fleet of warships to cause trouble and retrieve his ‘science experiment’ Lyria. 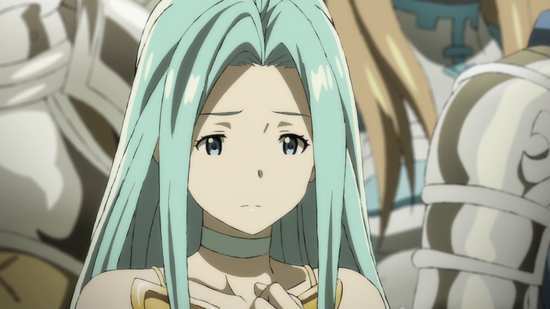 Being treated as an object rather than a person, even if it is by the slimy Pommern causes an existential crisis for Lyria, and it falls to Gran to rescue her from her own psyche when she falls into a catatonic state, before they can help Leviathan purge the poison, and save the island of Auguste. It’s all so predictable and pedestrian. The series ends with Eugen signing up to the crew, with the hopes and expectations that the story will plod on in a second series. 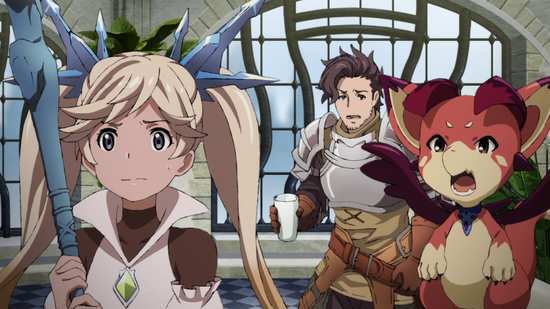 Unlike most anime shows, it seems that Granblue Fantasy has done enough to warrant a continuation; either that or the investment in it is high enough to disregard its weak story. 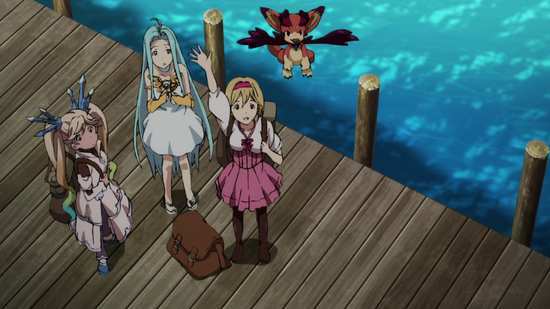 Regardless, I doubt that this crew will find the Island of the Astrals anytime soon, at least judging by the pace of its plodding story. 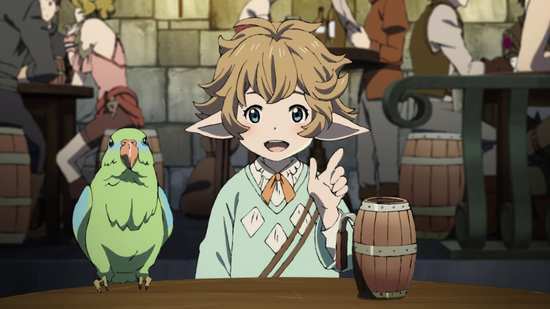 The collection winds up with two OVA episodes that gender swaps Gran for Djeeta, a far more with-it and personable girl who has gathered a larger crew during their adventures. No doubt this is another legacy of the video game, in that you can choose the gender of which character you play. 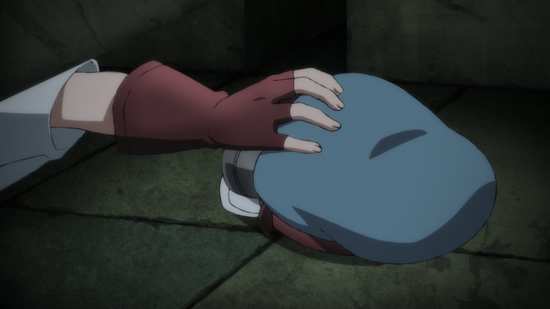 While the storytellers have opted to tell Gran’s story, they gave anime viewers a couple of episodes with Djeeta as an Easter Egg. The first episode is a swimsuit episode, to conform to laws about anime OVA episodes entrenched into the Japanese constitution, which explains the larger female contingent in Djeeta’s crew, while the second is a Halloween episode. I’m probably being contrary for the sake of it, but I liked Djeeta as a character more than Gran, and the episodes were more interesting too, although it’s a fine distinction between two forms of mediocrity rather than any glaring contrast. 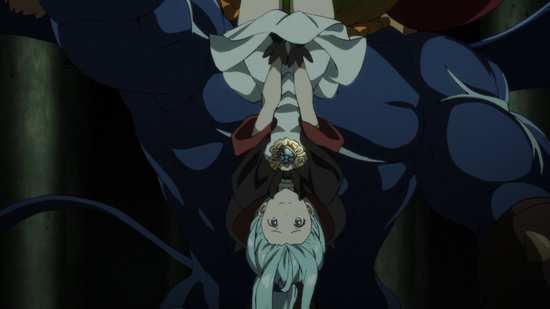 Granblue Fantasy is so average a show that I can’t think of anything meaningful to say about it. It’s stodgy and predictable, and does nothing to set the screen alight, nothing to tempt me towards the edge of my seat. It’s the mashed potato of the anime world. It’s the pasta of fantasy adventures. It’s carbohydrates, something you never really stop to consider, but something you can’t really do without. I think the analogy dies at that point. It’s really hard when the best thing you can say about a show is that it doesn’t stink, but you can take that to the bank.